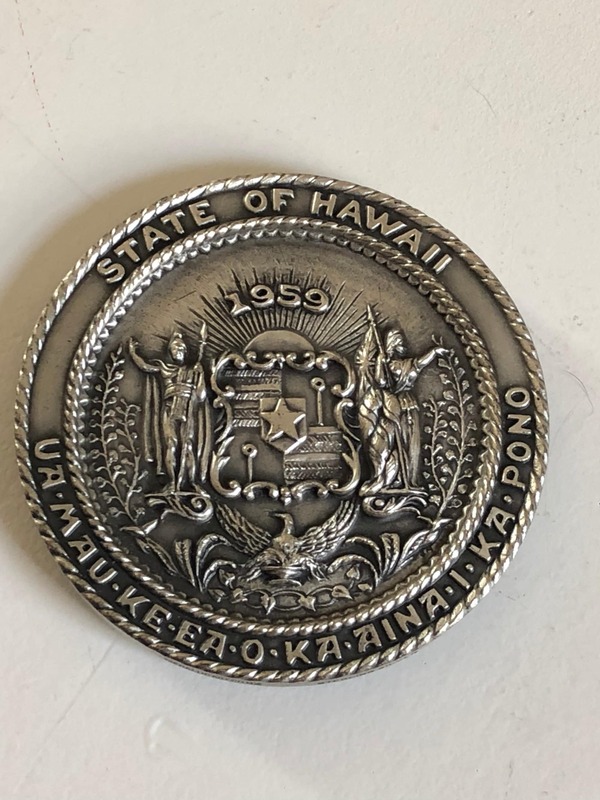 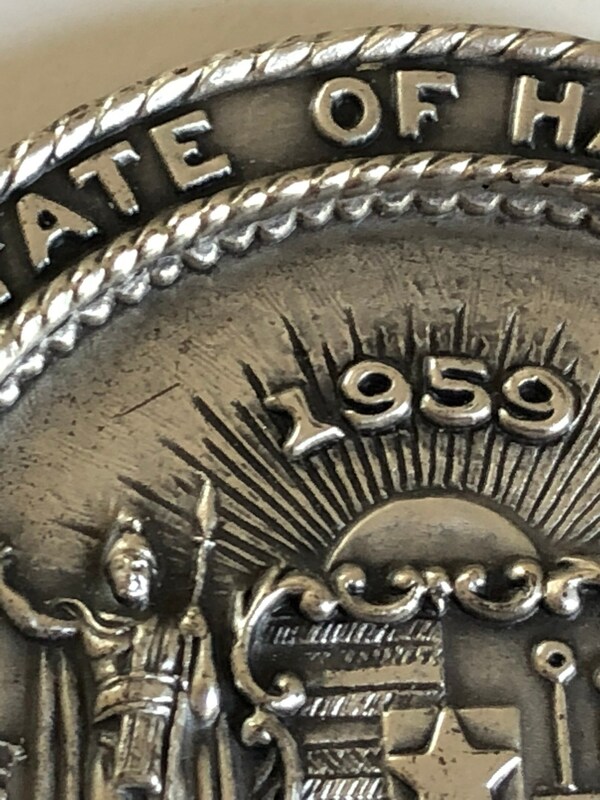 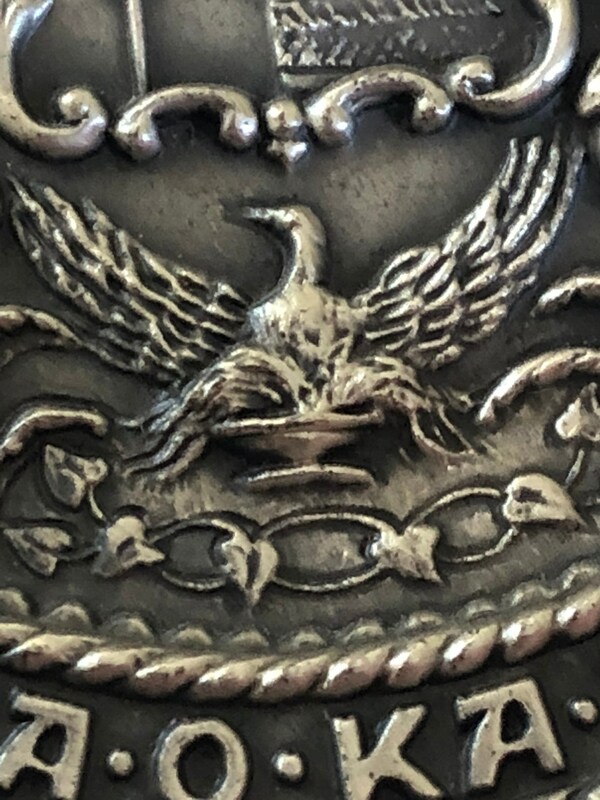 A very large and very heavy (135 grams / 4.3 OZT) sterling silver art medallion that was released to coincide with Hawaiian statehood by the Medallic Art Co of NYC. 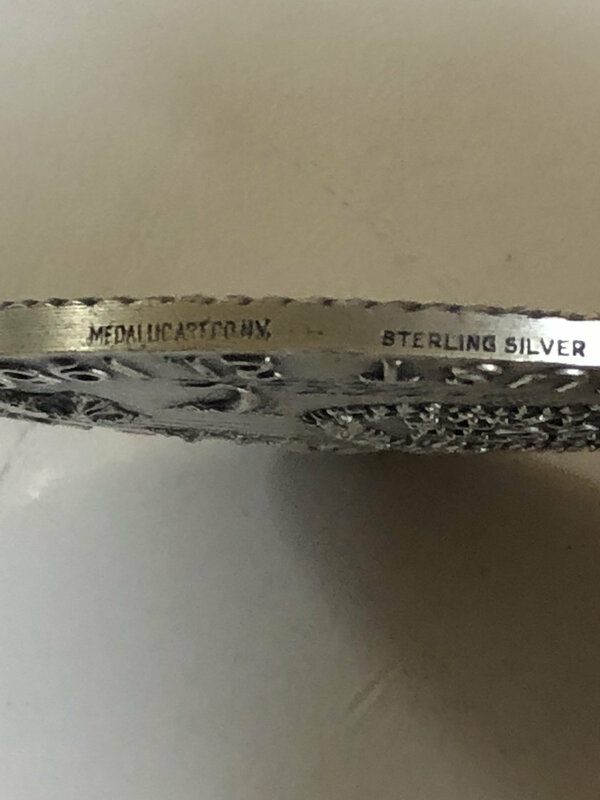 Marked STERLING SILVER, MEDALLIC ART CO, NY, and with serial no. 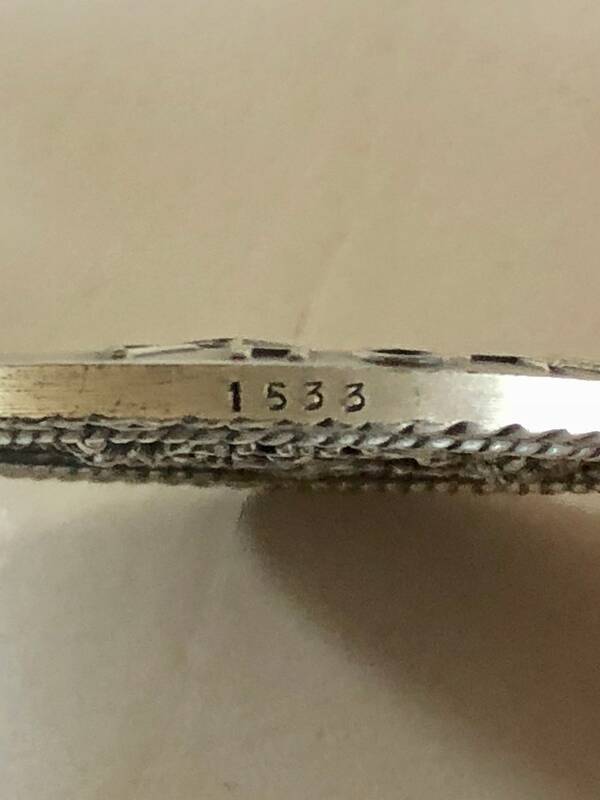 1533. 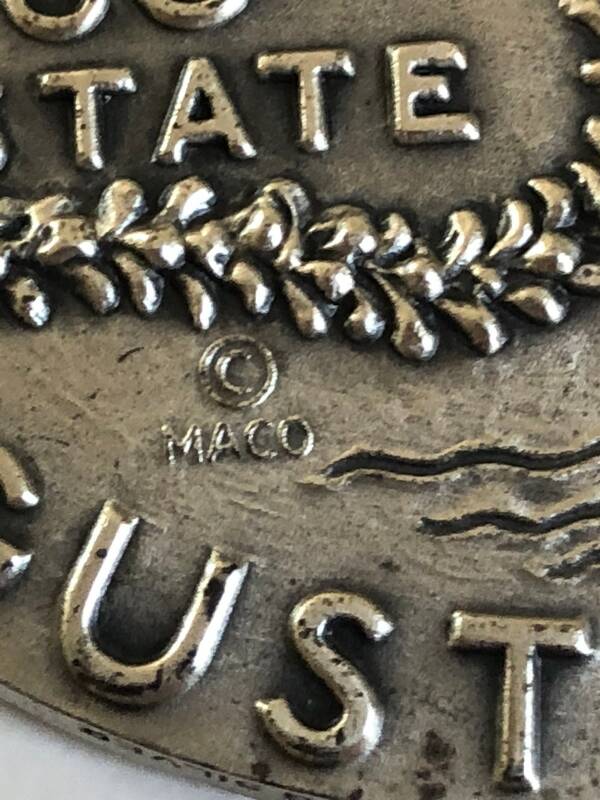 Also marked MACO (C). 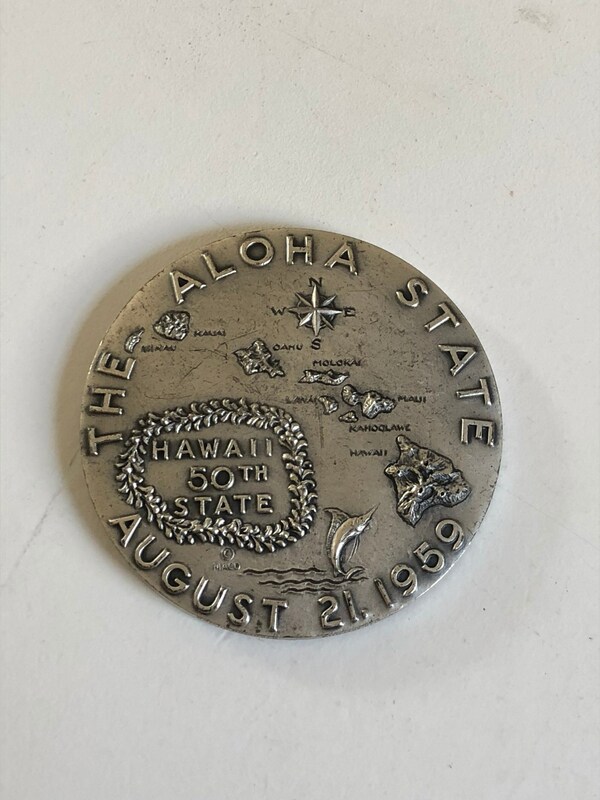 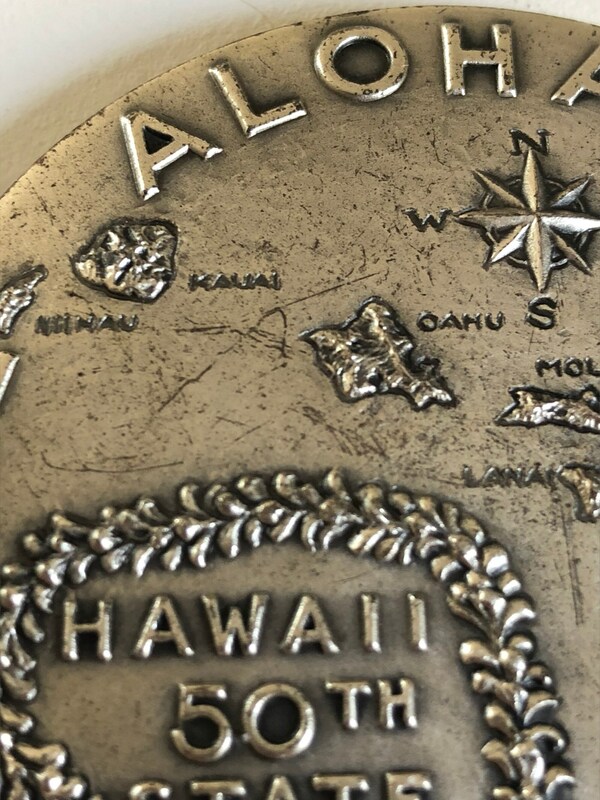 Medal reads on one side, "THE ALOHA STATE AUGUST 21, 1959" with a map of all the islands named and a leaping swordfish. 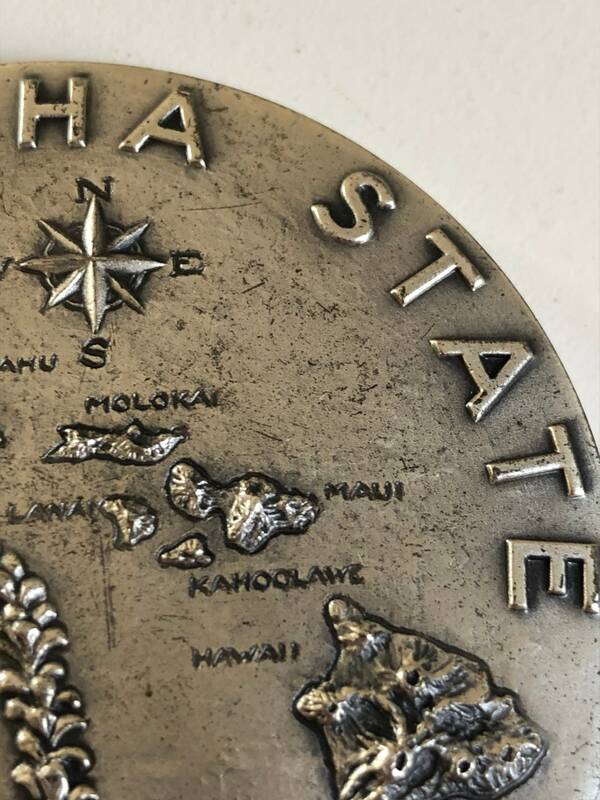 The other side reads, "STATE OF HAWAII 1959 UA MAU KE EA O KA ʻĀINA I KA PONO' (The life of the land is perpetuated in righteousness). 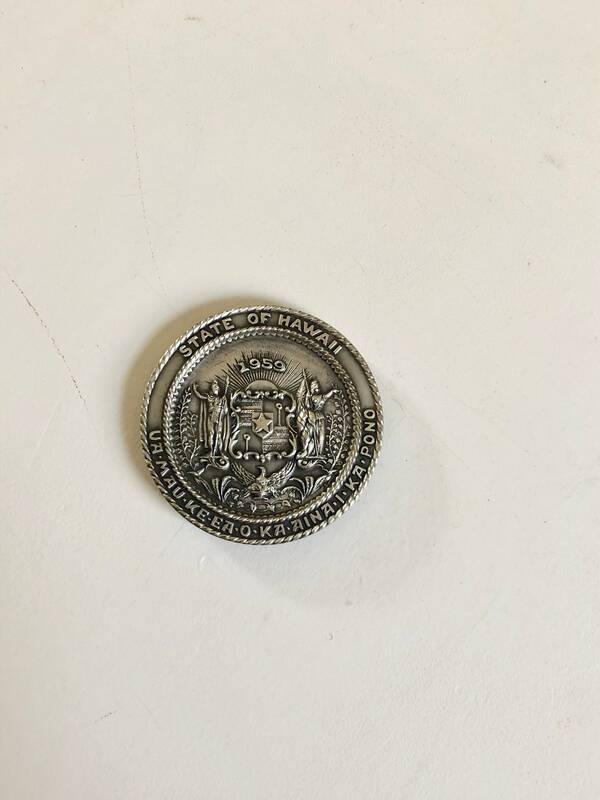 Condition: some scuffing to the surface on both sides.